Tonn Nua plays a lively blend of Scottish and Irish music. 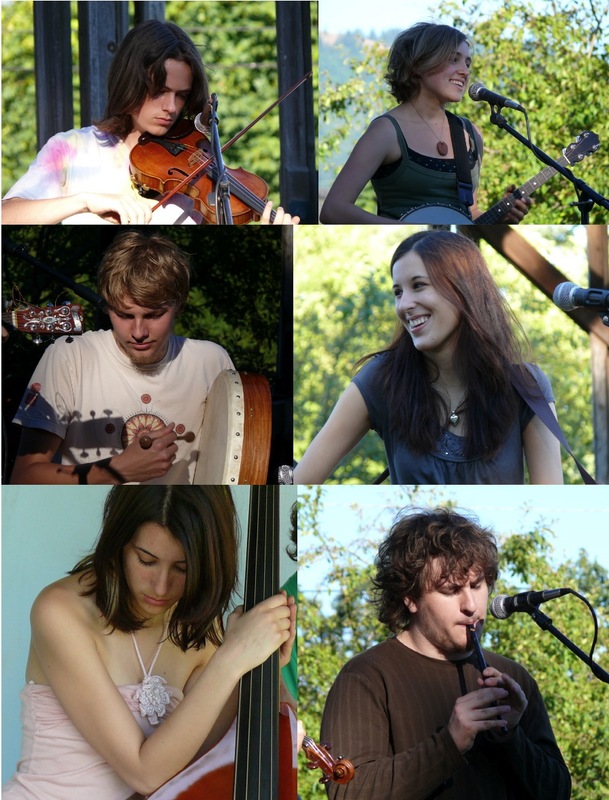 Band members include fifteen year-old fiddle player Ansel Dow; Alison Helzer, 17, on banjo and tenor guitar, Andre Clest, 20, on bodhran, Daphne Garcia, 19, on guitar, Zoe Garcia, 19, on bass, and David Garcia, 19, on tin whistle and octave mandolin. Tonn Nua's first CD, Eye of the Wind, was released in November of 2006. Their second CD Tonn Nua Live, was completed in October 2007. Click Below for a Sample of Tonn Nua's latest CD "Tonn Nua Live"